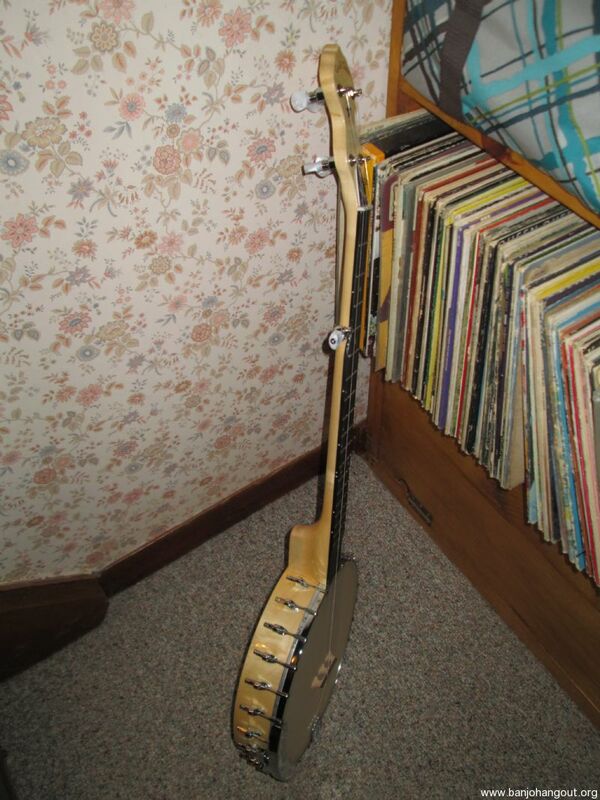 For Sale - CC Carlin 12"
This was listed awhile back, and things didn't go well. UPS screwed up the shipping destination, and the buyer on the other end got so juvenile , that I ended up just sending him his money back, that I already had in the bank. Please DO NOT ever send me cash in an envelope. I would not send cash to the Pope through the mail ! Anyway... I got this one from the second batch of these ever sent to the US from China. 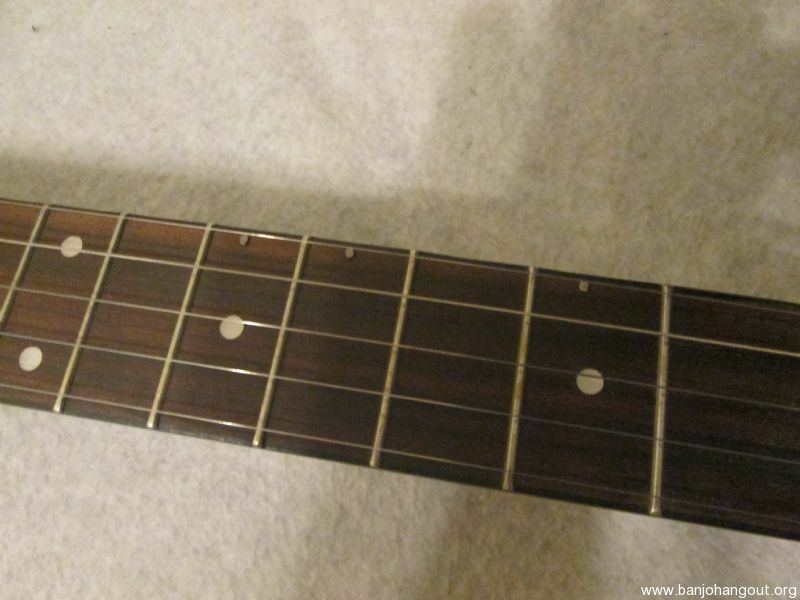 It has THE best feeling fingerboard I have ever played on, on any instrument! 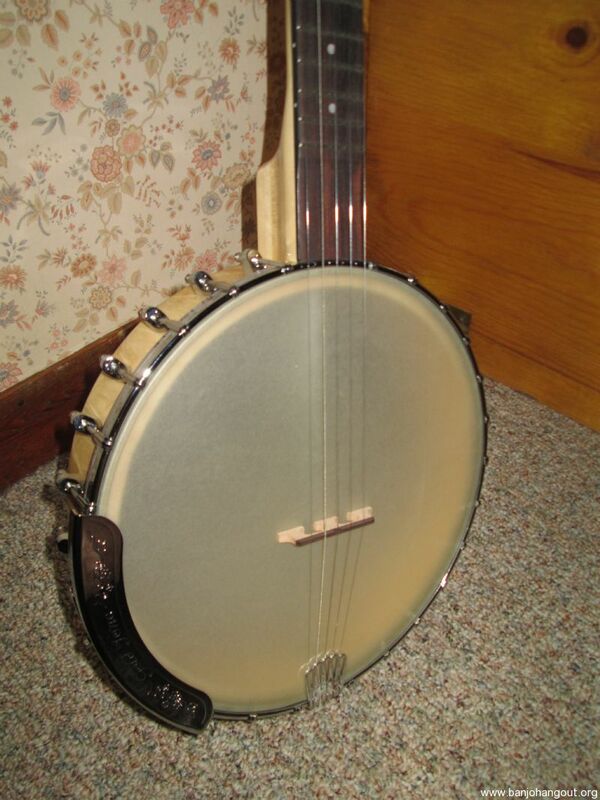 These banjos have a wonderful tone, with the Renaissance head, and the brass "head bearing". I'm especially fond of the deeper, lonesome 12" head size. I found out, I am just awful at clawhammer, so I'm letting it go. 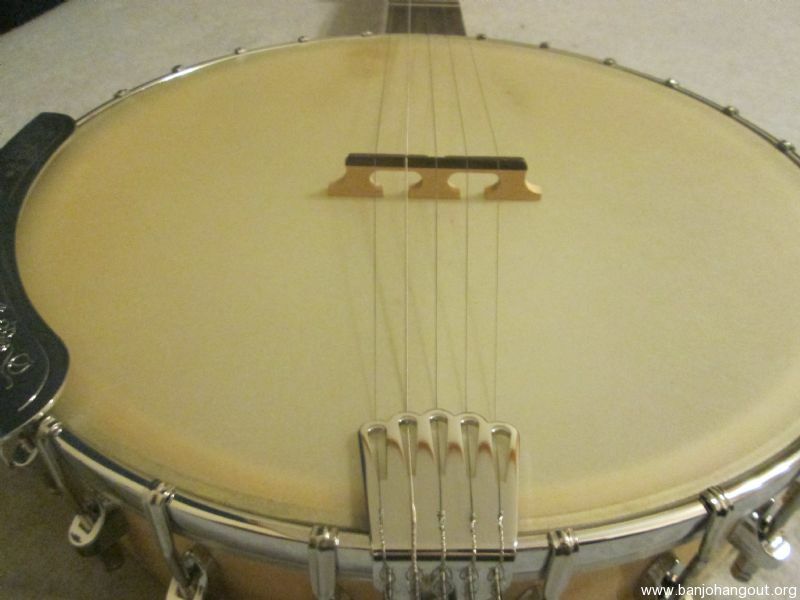 I've played Bluegrass all my life, and I just can't make my right hand do what it needs to. 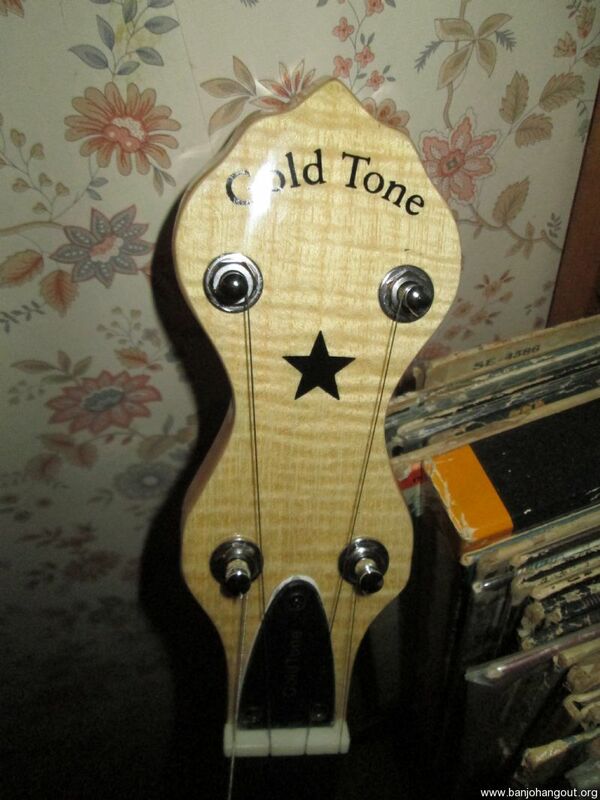 I had the tacks (frets 7, 9, 10), and the planetary tuners installed at the factory. I have the head tightened to where it needs to be, so it's ready to play right out of the box. 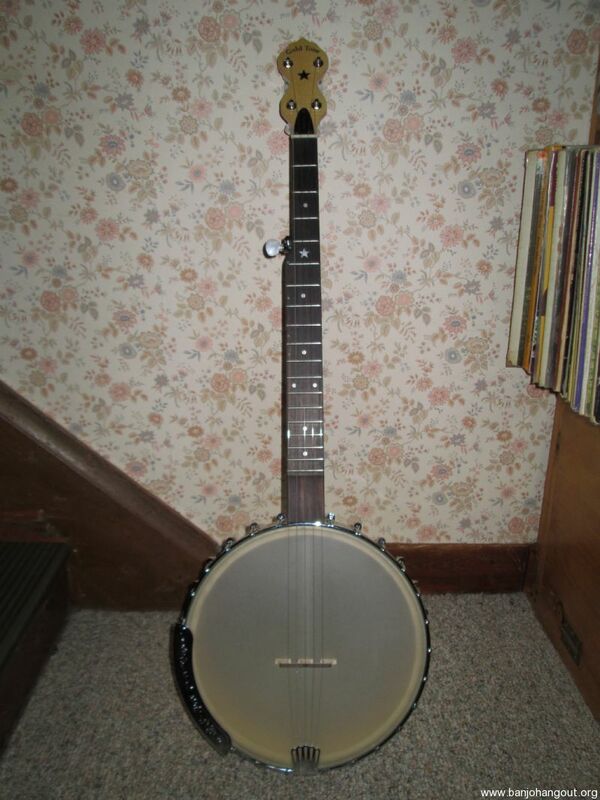 The banjo is just an awesome sounding instrument, even when I play it! 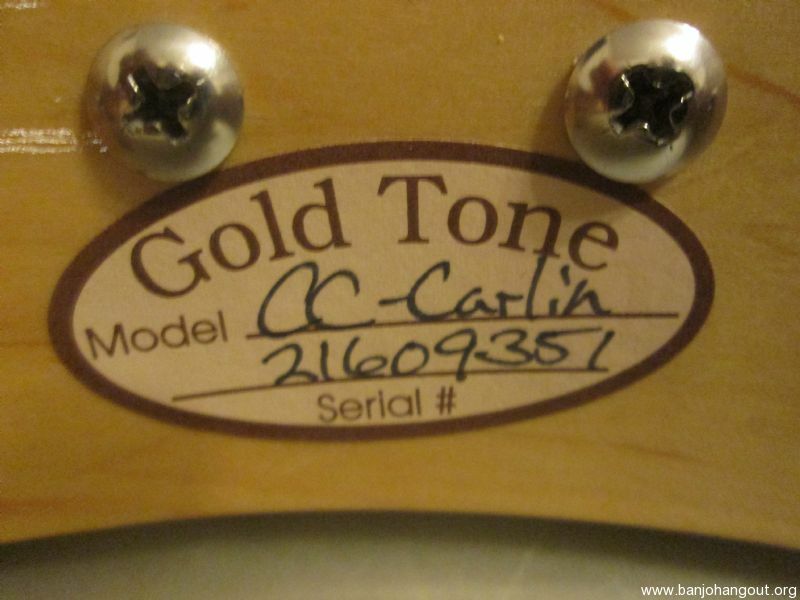 Go to the Gold Tone site for "CC Carlin 12", and "Videos", to hear Bob Carlin play Chinese Breakdown. I did not find a Youtube video where it sounded like it was supposed to. The link doesn't seem to want to work, until you actually get to the Gold Tone site. 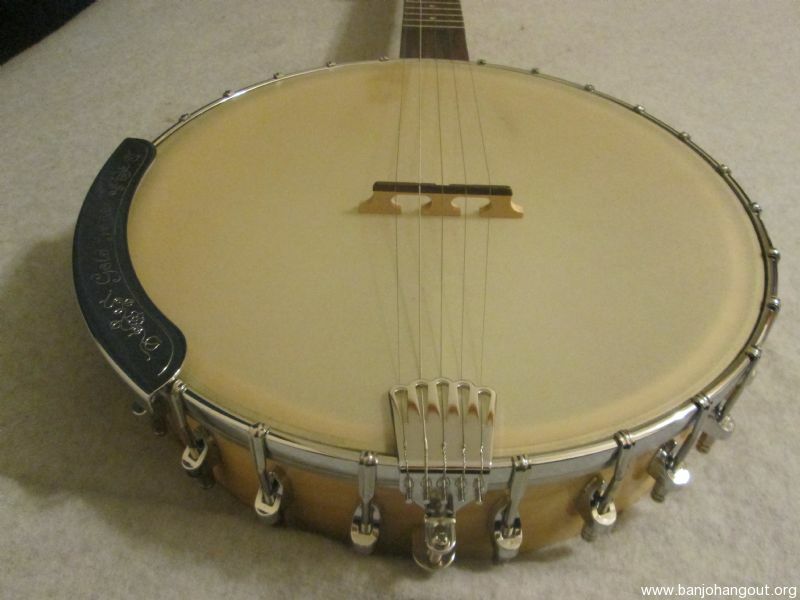 There are also other links out there that lets Bob brag on his signature banjo. One I believe is at NAAM. 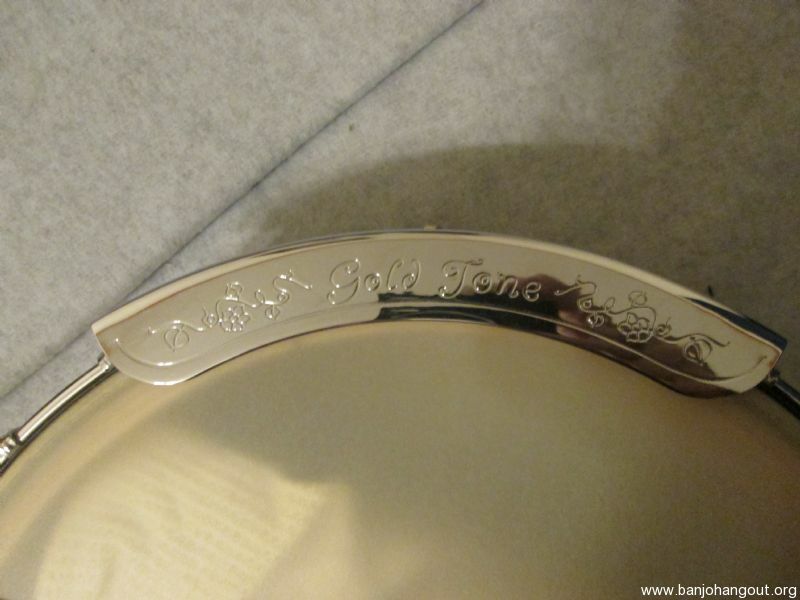 If you are looking for an old, American made piece, this is not it. 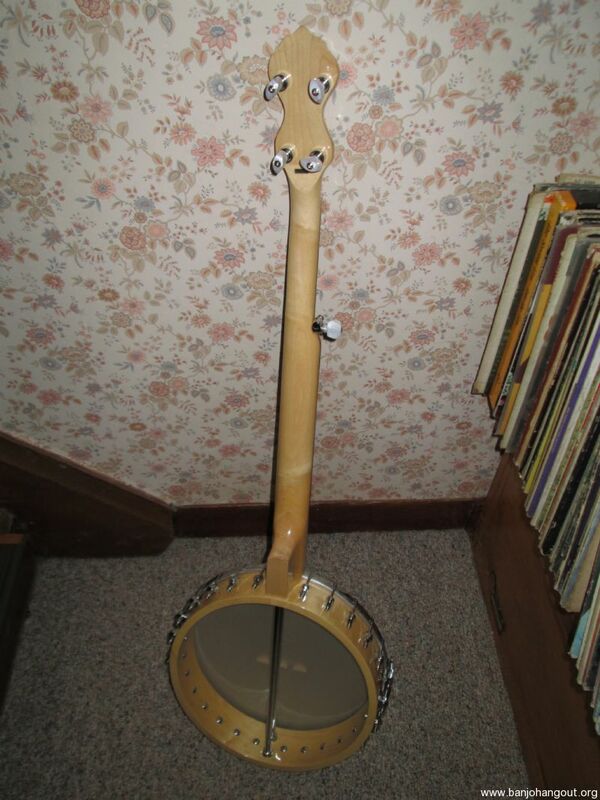 If you're looking for a good quality player with great tone, at a good price, then this is the banjo for you.